A motorcycle crash closed all local lanes of the inbound Kennedy Expressway near Montrose Avenue early Monday morning. 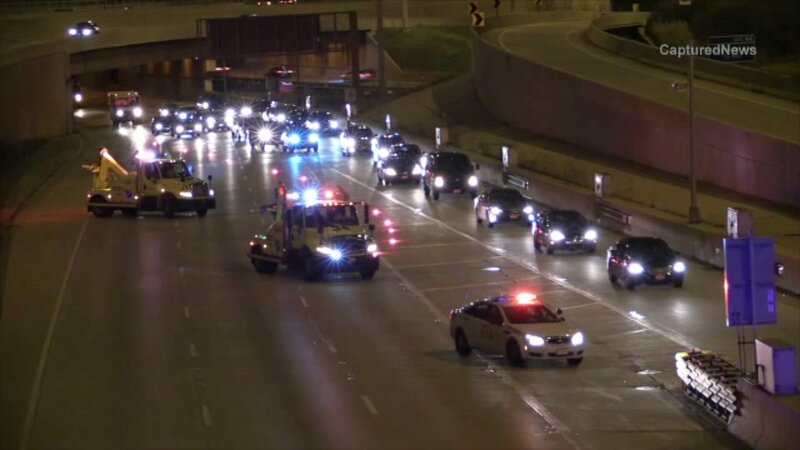 CHICAGO (WLS) -- A motorcyclist was critically injured after crashing on the inbound Kennedy Expressway near Montrose Avenue. Illinois State Police said the single-vehicle crash occurred just before 4:20 a.m. Monday. The Chicago Fire Department said one person was injured and was taken to Illinois Masonic in critical condition. Investigators closed all local lanes of the inbound Kennedy near Montrose for about three hours. Traffic was forced into the express lanes. All lanes re-opened around 7:30 a.m.